Drake curse selfies: Is the musician jinxed and bad luck? 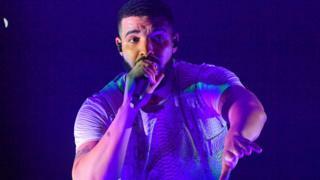 Like the tombs of ancient Egypt, old tales of witchcraft and those bad luck superstitions your Nan talks about, there's a new mystic curse of modern times - and it involves international, multi-award winning rapper, Drake. Now, collaborations with Drake are like gold-dust. People are desperate to meet him and for those who get to work with him in the music industry, he guarantees success. Unfortunately, that does not seem to extend to sport, where many athletes trying for a personal best should probably steer clear of the Canadian musician. Why? Well, while Drake is undoubtedly very popular among sports-stars, for those who have taken a selfie with their musical idol, many have unwittingly become cursed. Drake seems to be a massive jinx. Don't believe us? Well, here's some actual proof! 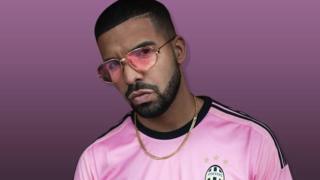 The Italian football team, Roma are the latest to take the mysterious curse seriously, banning all of their players from having their pictures taken with Drake until the end of the season. 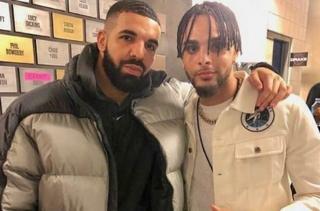 It comes after, PSG defender, Layvin Kurzawa became the latest victim of 'Drake Curse' following Paris Saint-Germain's shock 5-1 thrashing against Lille. The full back joined a long list of sports stars that have gone on to lose their next game after getting a selfie with Drake. Is Drake responsible for Man United's dip in form? 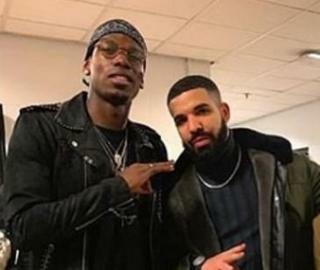 After the gig at the Manchester Arena on March 11, Paul Pogba posed with Drake, while Man United team-mates Marcus Rashford and Jesse Lingard watched the concert from a box. The team went on to lose to Wolves, twice and Barcelona. Even Manchester City weren't spared the curse of Drake! Sergio Auguero took a selfie at the same concert, only to miss a penalty against Tottenham in the Champions League. Have you noticed that Drake pulls the same face in all his pictures? 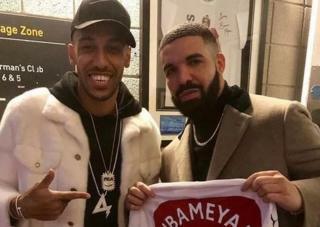 Anyway, Arsenal forward Pierre-Emerick Aubameyang fell victim to the 'Drake Curse' after posing for a photo with the musician on 2 April. The Gunners lost to Everton 1-0 at Goodison Park the following weekend and Aubameyang was benched. Other footballers have fallen foul of the 'Drake Curse', Borussia Dortmund's Jadon Sancho had a picture with Drake before their 5-0 defeat at Bayern Munich while Juventus lost the Champions League final after Drake was pictured wearing their away shirt. But the curse doesn't just affect footballers. 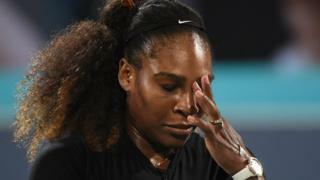 Serena Williams lost to underdog Roberta Vinci at the U.S Open while Drake was watching on from the crowd. Many years before Serena Williams got married, there were rumours that Drake and the tennis star had dated. Serena was even asked if the rapper was her lucky mascot because he used to turn up at her matches. When Drizzy showed up to the U.S. Open and Serena shockingly lost to underdog Roberta Vinci, fans started the hashtag #BlameDrake. Awks. However, it seems Drake knows that he's cursed. 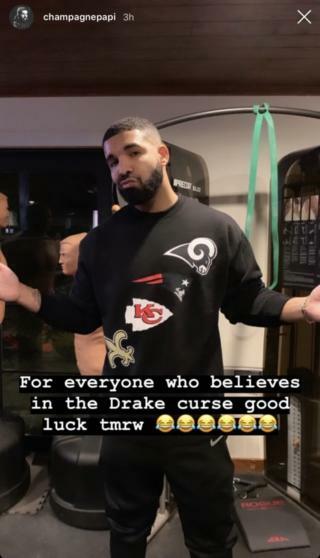 "To everyone that believes in the Drake curse, good luck tomorrow" as he wore a jumper donning the logos of the four teams who were in the play-offs - Kansas City Chiefs, New England Patriots, New Orleans Saints, and Rams. This is terrifying. Could this be in his songs too? I' m scared like you, CuteFluffyNarwhal. I'm lucky someone is scared like me. I thought I was the only one scared.